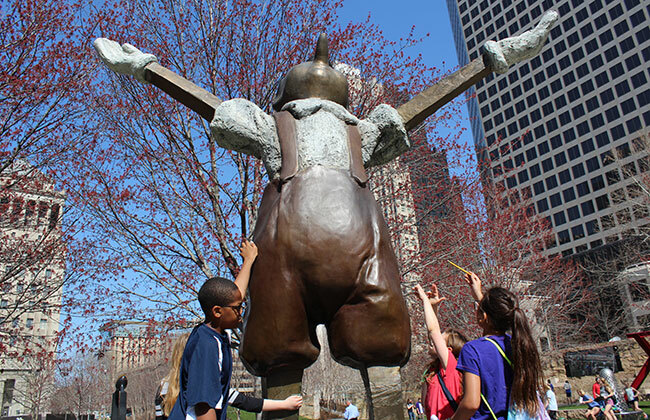 If you were at Citygarden in Downtown St. Louis in the beautiful 75-degree spring weather and saw a bunch of kids with rulers, protractors and notebooks, those were Forsyth School fourth graders on a math field trip. 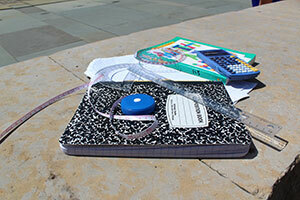 Students broke into groups of four or five and received a tool kit in a backpack with a protractor, ruler, measuring tape, calculator, graph paper, journal, 5 pencils, a 360-degree protractor and a map of Citygarden. 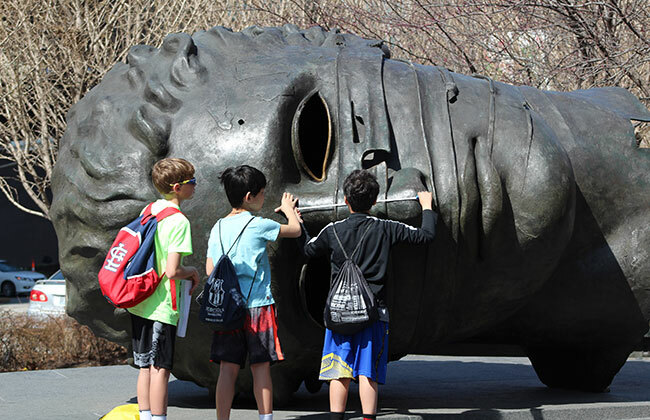 90% math and 10% orienteering, the groups had to read the map to visit 19 sculptures and answer questions tailored to each piece of art. 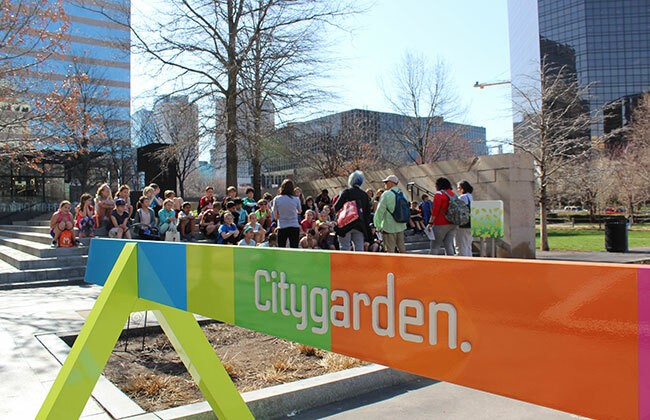 The idea and questions for this field trip were originally created by a Forsyth teacher almost ten years ago. The questions have been revised over the years to match our curriculum. Choose a finger on YOUR hand that is about the same length as YOUR nose. Measure Eros' nose from the bridge to the tip using YOUR finger. Now, measure your nose with the ruler and determine how long it is in inches. How many inches is Eros' nose? Look at the stainless steel "Untitled." Are those rhombuses? How do you know? Prove it! Trace or illustrate the polygons that you see. "2 Arcs x 4 and 230.5 Degree Arc x 5"
Can you explain "2 Arcs x 4 and 230.5 Degree Arc x 5?" 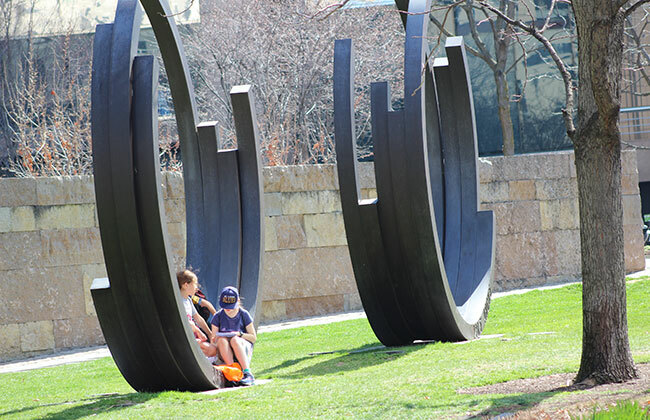 How does the name relate to the sculpture? Draw the three arcs. "Big White Gloves, Big Four Wheels"
Estimate Pinocchio's height. Compare his height to yours. Make a scaled drawing in your journal of Pinocchio standing in a line with each member of your group. 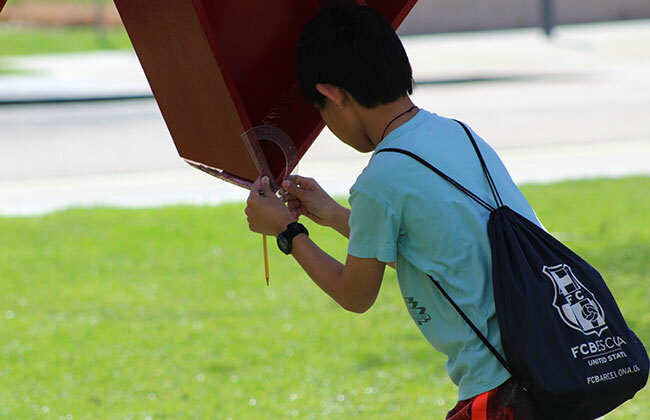 This field trip was equal parts math and fun!